As bikes get more sophisticated the yearly rhythm of changing the whole line-up changes to more sustainable products but the event itself still marks an important milestone in bike industry calendar. In five venues around Taichung, Taiwan the exclusive business visitors are able to meet their component suppliers in a very familiar manner. Without great marketing efforts companies expo their novelties for the next two upcoming years. After the first products with “bluetooth-only connectivity” are live on the market, more and more OEMs are interested in “autonomous” connectivity solutions including 2G or 3G networks. 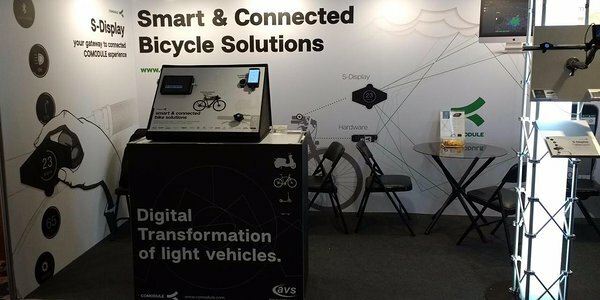 The main difference is that autonomous solutions allow the manufacturer to permanently communicate with the bike whereas “bluetooth-only solutions” allow communication only when the rider has paired his smartphone to the bike.